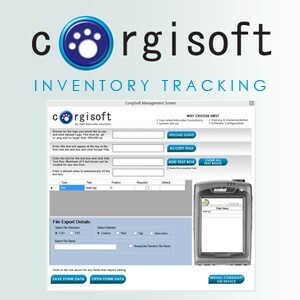 CorgiSoft is our inventory management software designed to be an efficient, fully supported, and easy to use solution to your inventory tracking needs. It is an excellent solution for entry-level barcode based inventory management, for use in home run businesses or for small businesses that aren’t ready for that next big step into a full sized inventory management software. Are you tired of wasting time tediously and laboriously tracking your inventory with pen and paper? Can you even read the handwriting? How many steps are there where mistakes could be made in your current process? Our free inventory management software will help you eliminate many of these issues. How long does it take you to count out your inventory manually, and then hand record the results? The average time to locate and scan a barcode is approximately 2 seconds, which means that with CorgiSoft, you could track and manage over 1000 items in an hour! The data is automatically generated into a spreadsheet for you, saving you time and reducing the chance of making costly mistakes, making your inventory tracking process simple and easy. 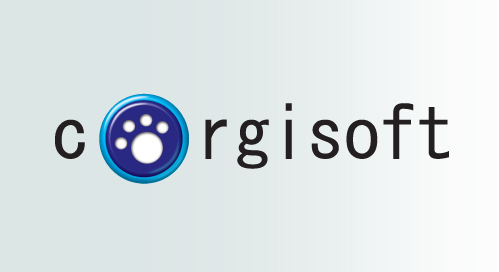 Making the switch to an inventory management software, like CorgiSoft, doesn’t need to be complicated. Our software is designed to be as simple and easy to use as possible, just take your device to where your inventory is, scan the barcodes, and generate your inventory tracking spreadsheet. The desktop component of our free inventory management software allows you to customize and configure the fields and layout of the program as it appears on your mobile device, from the more user friendly platform of your PC. Here at EMS Barcode Solutions, our motto is Service is Standard, and that’s why when we decided to create this simple inventory management software, we decided right away that we were going to offer a full range of support. This includes phone, e-mail, and forum support, and if you buy the mobile computer from us, we will pre-install the software on the unit and help you make sure eveything is running properly. Purchase a mobile computer from us and get this simple inventory management software! Up to 5 fields for custom tracking. We will have you set-up and scanning barcodes in 30 minutes or less.